Macau artist Nick Tai will have his solo exhibition “Renaissance on One’s Own – Works by Nick Tai” opened in AFA Macau at 6:30pm on September 15 (Friday). It has been several years since the artist had his solo exhibition. After a period of settling, Nick has excelled in artistic development as well as his painting technique. Fifteen pieces of acrylic and oil paintings will be showcased in the exhibition. Having had the exhibiting hall painted in burgundy, audiences may feel deluded to have entered a museum where famous paintings from Renaissance are showcased. 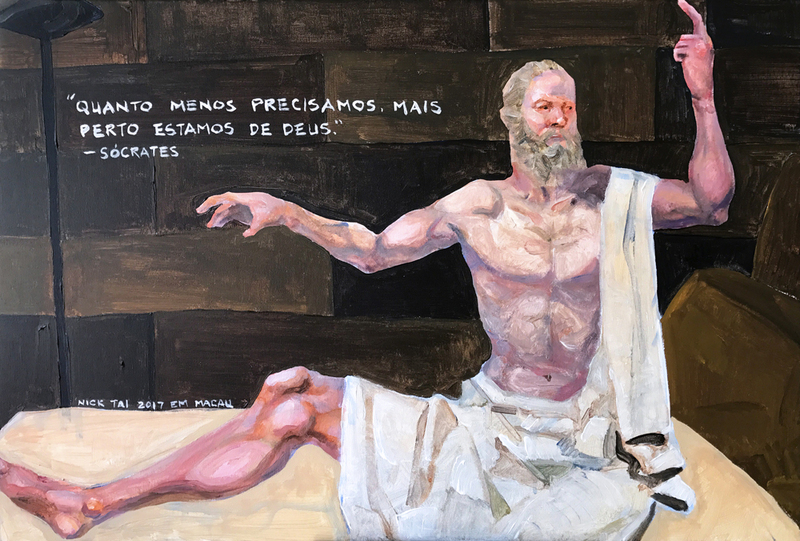 In fact, they are derivative works of the famous paintings, interpreted by Nick Tai in his unique perspective, after incessant study, comprehension and self-reflection, hence named “Renaissance on One’s Own”. 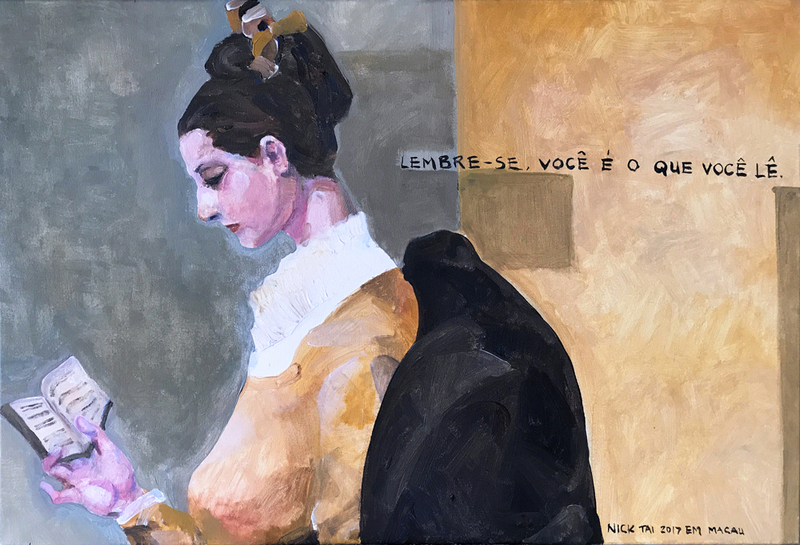 The opening ceremony of “Renaissance on One’s Own – Works by Nick Tai” will start at 6:30 p.m. on September 15 (Friday), at 1st Floor, Tak Chun Macau Art Garden, Avenida Dr. Rodrigo Rodrigues N. 265, Macau. Tak Chun Macau Art Garden opens from Tuesdays to Sundays (11:00 p.m. to 7:00 p.m.) and closed on Mondays. 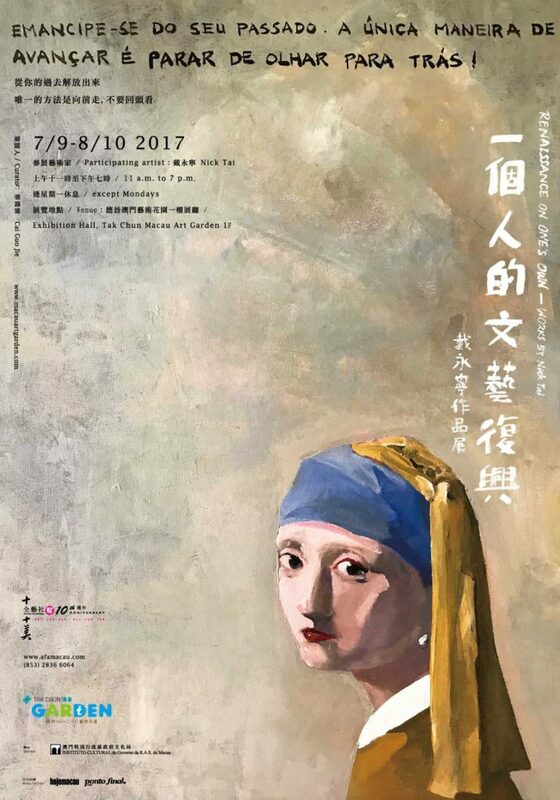 The exhibition period is from September 7 to October 8, 2017. AFA Macau is located on the 4th Floor of Tak Chun Macau Art Garden, opens from Mondays to Fridays (10:00 a.m. to 7:00 p.m.). For enquiries, please call (853) 2836 6064 during office hours or email to [email protected] For more information, please visit www.afamacau.com.